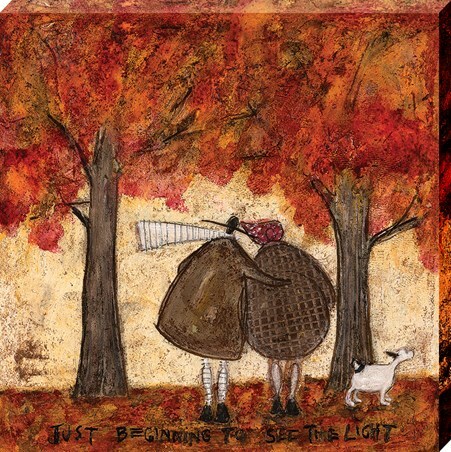 Delve into the magnificent world of Sam Toft, with this uplifting art print! 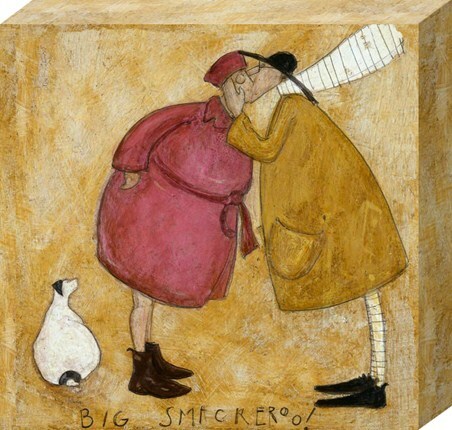 The perfect piece of motivation for your home featuring the contented lives of the Mustard family! 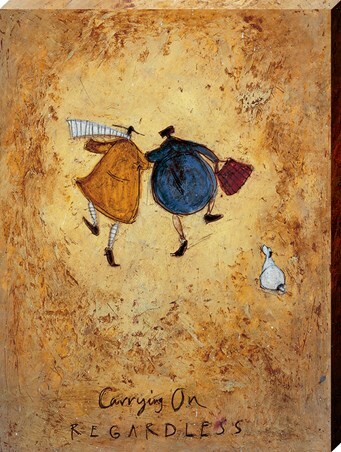 Titled Carrying On Regardless, this canvas illustrates how joyful Violet and Ernest are despite what bad things might be happening in their lives. Skipping happily into the distance, they leave Doris behind wondering what is going on! 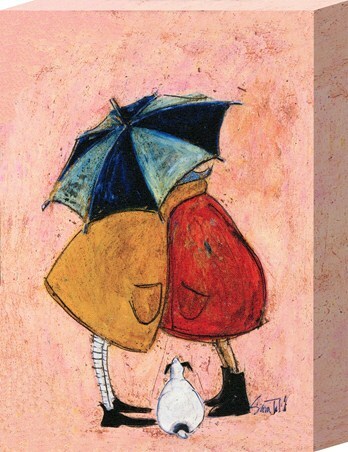 So.. no matter what your troubles are, this motivating art print will be sure to lighten your mood! 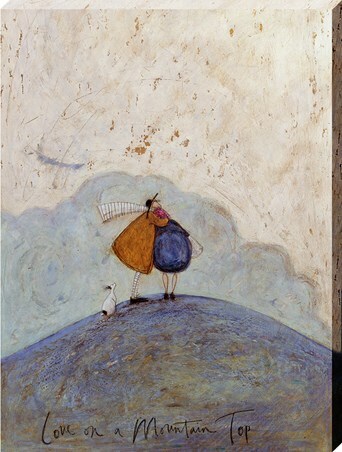 High quality, framed Carrying On Regardless, Sam Toft canvas print with a bespoke frame by our custom framing service.